WORLD over, physical activity guidelines recommend 150 minutes of moderate activity per week. This translates to 30 minutes of brisk walk for five days every week. 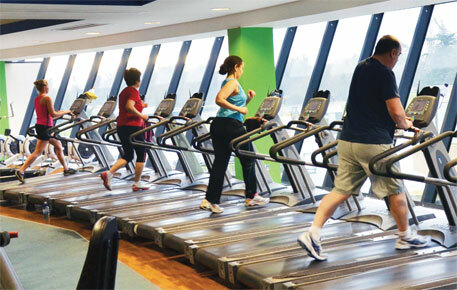 It is commonly believed that the exercise is enough to avoid cardiovascular, diabetes and obesity-related risks. However, this may not be enough for South Asians. A research by scientists from the UK says a South Asian needs to exercise for 200 to 250 minutes a week to gain similar health benefits as a European exercising 150 minutes a week. The sample group for the research had 75 South Asian and 83 European men in the age group of 40-70. None of the participants had cardiovascular ailments or diabetes. Physical activity was assessed using a wearable accelerometer, a motion-sensing device. Participants wore it on the left or right hip at all times for seven consecutive days, except when taking showers, swimming and sleeping, to record physical activity levels. For assessing their cardio-metabolic health, blood pressure and blood-based measurements of sugar, insulin and cholesterol were conducted. Height, weight and waist circumference was also taken in account. Figures of all blood-based tests were then noted for the Europeans doing 150 minutes of physical activity every week and stringent statistical tests were done to determine equivalent level of physical activity the South Asians needed to achieve similar values of all blood-based measurements. The study was published in PloS One on December 11, 2013. Another study conducted by a group of over 150 scientists in India has recommended an hour of physical activity per day for Indians. Anoop Misra, chairperson, Fortis-C-DOC Centre of Excellence for Diabetes, Metabolic Diseases and Endocrinology, New Delhi, led the study which was published in the journal Diabetes Technology and Therapeutics in 2012. Misra says, “Obesity is a consequence of heredity, lifestyle and dietary factors, with genetics playing an important role. While detailed research is needed to find the genetic basis of the tendency for obesity, it is clear that South Asians cannot ignore their daily exercise regimen.